On an international level, a global comprehensive treaty banning human cloning is not yet received universal acceptance. Ex- President Clinton in the United States of America (USA) in 1995 nominated a National Committee of Bioethics in order to scrutinize the legal aspects of human cloning. In June 1997 the Committee reached a decision against human cloning and thus bills were rushed into both the US Senate and House of Representatives aimed at banning the cloning of human beings. In July 2001 USA tried to ban human cloning permanently by passing The Human Cloning Prohibition Act of 2001 (HCPA 2001).The proposed measure mandated civil and criminal penalties for anyone who performed, attempted to perform, or participated in an attempt to perform human cloning. But unfortunately, the HCPA 2001 died on the Senate floor and it has been revived in the form of the Human Cloning Prohibition Act of 2003 later. The Human Cloning Ban and Stem Cell Research Protection Act 2003 is another bill addressing the issue of human cloning was introduced on February, 2003. This Act, "would make human reproductive cloning punishable by up to ten years in prison," but would allow the use of SCNT (Somatic cell nuclear transfer) to create stem cells for research under limited circumstances. However, Arkansas, Iowa, Michigan, North Dakota and South Dakota laws extend their prohibitions to therapeutic cloning, or cloning for research purposes. Virginia's law also may ban human cloning for any purpose. Rhode Island law does not prohibit cloning for research and California and New Jersey human cloning laws specifically permit cloning for the purpose of research. Recently, the Canadian Parliament passed legislation permitting research on stem cells from embryos under specific conditions. The law bans human cloning and prohibits the sale of sperm and payments to egg donors and surrogate mothers. Cloning for reproductive and research purposes have been prohibited in most of Europe by the 1997 Council of Europe Convention on Human Rights. In 1998 the Commission of the European Convention in Paris ratified a Protocol signed by the leaders of 24 countries. This Protocol prohibits all those methods that can create identical human beings. Unfortunately, not all countries have signed the protocol. For instance, Germany refused to sign it because it did not ban all research on human embryos. On the other hand, Britain did not sign Paris Protocol because they felt that it was too restrictive. But Britain explicitly disallowed human cloning by incorporating the article 3-3-d/1990 in English Law. Similarly, Spain also banned human cloning (article 2B of the Spanish Law 35/1988). But there are many countries who still impliedly encourages human cloning .Greek legislation is one of them .No legal framework exists to prohibit human cloning under current Greek Law. In the Greek legal system, no statute exists against cloning of human beings. Cloning prohibitions are also not strong in Asia. Although Japan enacted a law that bans human reproductive cloning and penalizes violators for up to ten years in prison, stem cell research is allowed. Other Asian countries, such as China, Singapore, and South Korea, also allow experimentation with stem cell research. In Bangladesh still cloning prohibition law is absent. 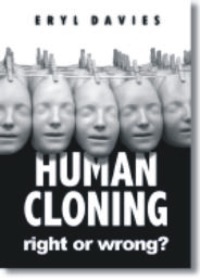 Legislators should take proper steps to provide guidance regarding the human cloning. 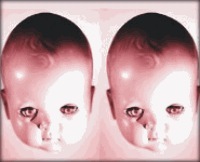 As we said earlier, some counties prohibits human cloning and few others allows it .This made 'an unparalleled inconsistency' to spout in transboundary legal world .For instance, America has strong laws against human cloning but Italy did not show her reluctance against the Reproductive Cloning of Human Beings. So, what is illegal in USA, is legal in Italy. A corrupt scientist can use this legal loophole easily .For this reason, scholars are demanding a unilateral transnational law forbidding Cloning of Human Beings. The United Nations "decided . . . to include in the provisional agenda of its 58th session the item entitled "International Convention Against the Reproductive Cloning of Human Beings," which could lead to an universal comprehensive agreement banning human cloning. To promote scientific advancement, the lawyers drafted the Patent Clause as a means of rewarding the labour of inventors. In exchange for disclosure of the details of an invention, an inventor receives a patent from the government. Depending on the patent, a patent grants its holder a 14 or 20 years right to exclude others from making, using, or selling the patented invention. If the invention is a process, the patent also grants its holder the right to exclude others from making, using, or selling the products of the patented invention. With increasing advancements in the field of embryonic research, Biotechnology companies continue to submit various patent applications for the process of human cloning and for the resulting human clones. Seeking to avoid the debate on patenting embryos, the U.S. Patent & Trademark Office (PTO) stated that it "does not issue patents drawn to human beings" because the Thirteenth Amendment prohibits such patents. In 1980, the US Supreme Court reviewed this decision of U.S. Patent & Trademark Office in Diamond v. Chakrabarty (447 U.S. at 309 (quoting Committee Reports on the Patent Act of 1952, S. Rep. No. 82-1979, at 5 (1952); H.R. Rep. No. 82-1923, at 6 (1952)).In this case it was held that an organism could be a "manufacture" or "composition of matter" .The Court reasoned that "the relevant distinction [is] not between living and inanimate things, but between products of nature, whether living or not, and human-made inventions." The Court stated that the statutory subject matter "include[s] anything under the sun that is made by man." Thereafter, relying on its interpretation of the Chakrabarty decision, the patent authorities in USA announced that it would consider "non-naturally occurring, nonhuman multicellular living organisms, including animals, to be patentable subject matter within the scope of prevailing law." It should be remembered, until Chakrabarty, living organisms were not considered patentable and after Chakrabarty, life forms became patentable if it is created by genetic or artificial manipulation. In Chakrabarty, the Court by stating that "anything under the sun that is made by man can be patented" made an absolute statement, presumably exempting nothing from cloning. Human beings would seem to fall within the ambit of Court's decision. Human embryos can be man-made through genetic manipulation. As we discussed earlier in this article, in accordance with the patent law, the patent holder has the right to reproduce, or clone, the human being and to exclude others from cloning that human being. For example, presently, cloning is legal in the Bangladesh (as there is no law against cloning). Therefore, each human being in Bangladesh presumably "owns" the right to clone himself and to exclude others from cloning himself. A patent in a human being takes that right away from the human being and gives it to the patent holder, thus giving the patent holder ownership in the human being. It means (one) a patent holder has the right to control the cloned human being's activities and to prevent others from interacting with the human being or (two) a patent holder has the right to contract out, or sell, the cloned human being and his services. Our constitution forbids such use of human beings. Therefore, the patent gives a right forbidden by the constitution. Furthermore, the patent gives the patent holder the right to forbid the patented human being from "selling" himself (i.e., contracting for employment). This rule also goes against of the main spirit of our fundamental rights. Moreover, if patent law implemented on a cloned human, he may not enjoy the right of reproduction i.e. he may be prevented from having son or daughter which is also against our fundamental rights. The issue relating to 'the right of the reproductive freedom' is vividly discussed in two famous cases. In Skinner v. Oklahoma, [316 U.S. 535. ], a plaintiff challenged an Oklahoma statute that required sterilization of repeat felons convicted of moral turpitude crimes. The Supreme Court applied strict scrutiny in ruling that the state statute violated the Due Process Clause of the Fourteenth Amendment, confirming that "[m]arriage and procreation are fundamental to the very existence and survival of the [human] race." The right to reproductive freedom was further extended in Einstadt v. Baird [405 U.S. 438, 453 (1971)] The Supreme Court held in this case that "the right of the individual, married or single, to be free from unwarranted governmental intrusion into matters so fundamentally affecting a person as the decision whether to bear or beget a child." For various reasons, infertile couples who seek to have a child may choose to use the cloning process as a method of reproduction. Since this would entail a reproductive choice, it would involve the right to reproductive freedom. As such, the cloning process could properly be designated as a right protected by the Constitution.